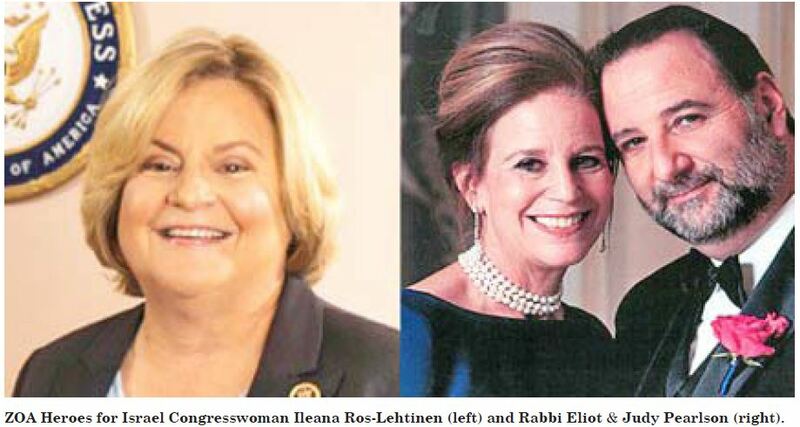 ZOA Florida is very excited to announce its first fundraising dinner, chaired by new board member Liz Brauser and honoring “Heroes for Israel,” Congresswoman Ileana Ros-Lehtinen, and Rabbi Eliot Pearlson and his wife, Judy. The dinner will take place on the evening of Sunday, December 16th, at the Aventura Turnberry Jewish Center. David Webb, Fox News Contributor and host of “The David Webb Show,” will emcee this much anticipated event. Special guests will include ZOA National President Morton Klein and Israeli Consul General in Miami Lior Haiat, and there will be a special message from Israeli Ambassador Ron Dermer. Congresswoman Ros-Lehtinen announced last year that this would be her final term in office before retiring. She has been a champion of Zionist causes in Congress, often educating her colleagues on the House floor about important issues and challenges that Israel faces. 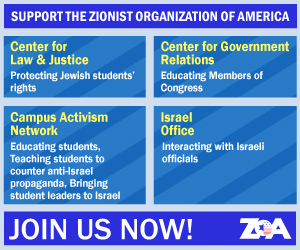 It is an honor for ZOA Florida to have her accept its first “Zionist Hero” award. Rabbi Pearlson has been more than vocal about his Zionist activism over the years. He shows up whenever the community needs to come together for Israel. He is recognized in the South Florida community for his outspoken support for Israel, often sharing information he’s learned from ZOA with his congregants. Rabbi Pearlson has also continued the tradition of Temple Menorah’s embrace of Jewish refugees from Russia and Argentina, the way his predecessor welcomed Cuban Jews to join the shul without requiring a membership fee in the 1960s. He and his wife, Judy, a well-respected and admired educator in her own right, make a worthy team in leadership of the South Florida Zionist community. To register for this not-to-be missed event, visit zoafloridaheroesforisrael.eventbrite.com or contact ZOA Florida at [email protected] or 917-673-6123.